*Very* early during the existence of this community, we chiefly did conversions from other game systems, if only to see how it worked out. One of those was this major Dungeons & Dragons character. This guy first appeared in Greyhawk, the original D&D setting back in the 1970s. 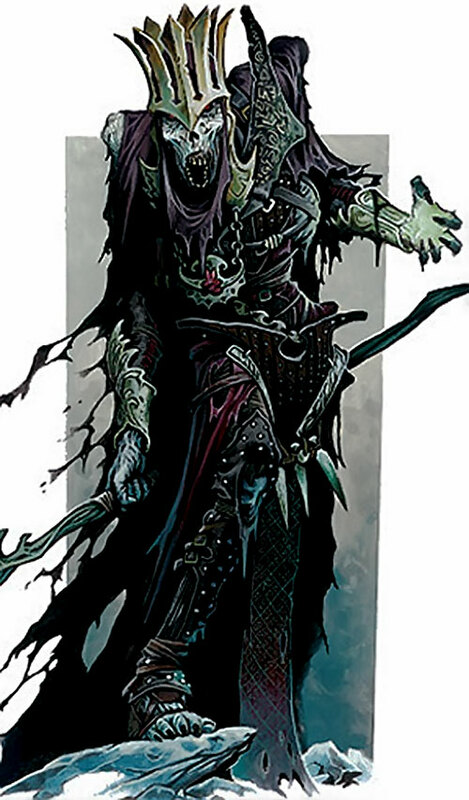 He later became a Ravenloft character as an undead in this fantasy Gothic horror D&D setting. Known Relatives: Unnamed Son (Deceased), Unnamed Wife (Deceased). Base Of Operations: Castle Avernus. Eyes: Empty, but with red fire. Hair: White, rotting strands. Azalin was once a powerful wizard-king from Knurl, Oerth . He ruled his subjects with an iron fist. 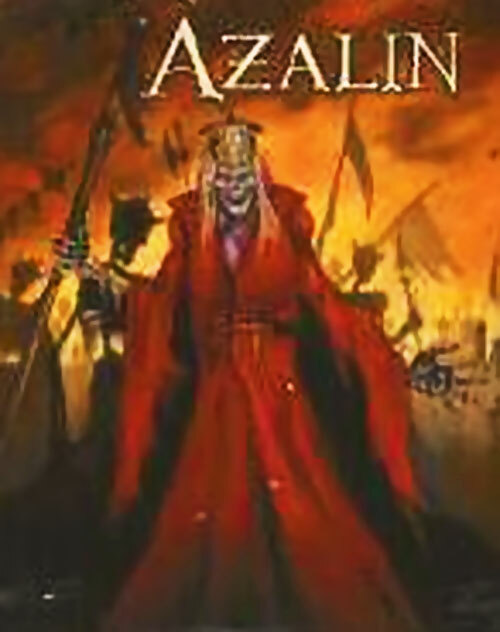 Called Azal’lan by his people, he ruthlessly crushed their spirits until they could take no more. Then they hired a band of mercenaries to destroy him. Desperate and near capture, Azalin fled into a misty forest. 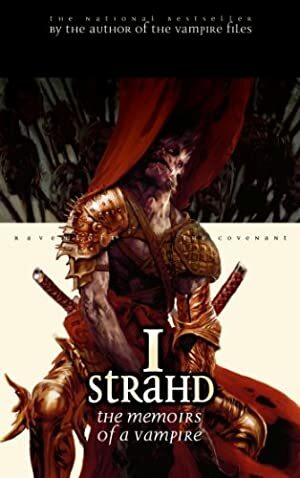 He emerged in the land of Barovia , the doman ruled by the vampire lord Strahd Von Zarovich. Strahd had the lich teach him new magic. In exchange the vampire provided research materials and space so that the newcomer could find a way for both of them to leave the Demiplane. After an unsuccessful attempt took them to Mordent , Azalin grew frustrated and walked into Strahd’s choking mist. Being undead, he was unaffected, and the Dark Powers opened up a new domain for him – Darkon , the largest in the Demiplane. He had realised his dream – a land of people who feared him, and unlimited power within his domain. But he quickly realised that he was also subject to a severe punishment. Azalin is a dried skeleton held together by foul magic. His eye sockets are empty, save for the tiny pinpoints of red light burning within. Normally, he wears his royal robes, a thick black garment with dark red trim, and a cape. A cold iron crown adorns his head. Cold Immunity is ineffective against magical cold. Fire Immunity is ineffective against magical fire. Cell Rot has No Range (touch only). Sorcery cannot be put higher than current level. Eye of the Cat works on undead controlled by Azalin only. Control cannot be usurped while the undead exist in Darkon. Aura of Fear is Always On, but can be negated through use of Sorcery. Personality Transfer only works with dead bodies within 1 AP range of his phylactery, and takes 3 days (17 APs) to complete. Spirit Travel can only be used to travel to and from his phylactery. Area Knowledge (Ravenloft), Area Knowledge (Oerth), Area Knowledge (Darkon), Headquarters (Expansive): Castle Avernus, Iron Nerves, Leadership, Popularity, Scholar (Magic), Scholar (Ravenloft), Sharp Eye, Misc: Undead (does not need to breathe, immune to mind-affecting powers). 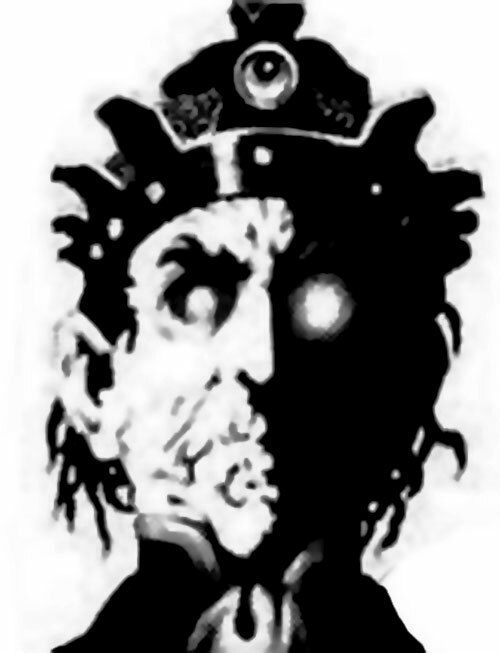 Catastrophic Irrational Attraction (Leaving Ravenloft), Misc: Cannot leave Darkon, Arch Enemy (Strahd Von Zarovich), Arch Enemy (Andres Duvall), Authority Figure, Exile: Involuntary (Oerth), Strange Appearance. Phylactery [BODY 15, Density Increase: 01 (Always On)]. Source of Character: AD&D Ravenloft (Domains and Denizens, Tower of Doom, I Strahd: The War with Azalin, and Van Richten’s Guide to the Lich).